To schedule a media interview or schedule an appearance, book signing, or workshop, please email eric@ericmichaelbooks.com, or submit the contact form at the bottom of this page. 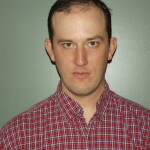 Eric Michael has enjoyed selling used items for profit for over 14 years. He has sold thousands of used items on multiple online formats, including Amazon, eBay and Etsy. Mr. Michael has introduced thousands of budding entrepreneurs to the profitability and fun of selling garage sale and thrift shop treasure through his website Garage Sale Academy.com and his line of products in the Almost Free Money series. 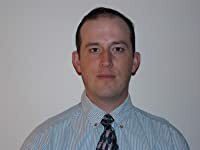 He hosts the Garage Sale Academy blog and the Almost Free Money Nation blog for pickers and internet sellers, Facebook fan pages for Almost Free Money and Garage Sale Academy, and the Kindle Authors Helping Authors Facebook group. Almost Free Money Kindle books have reached #1 bestseller status and have been enjoyed by thousands of readers. Eric Michael is an avid outdoorsman. 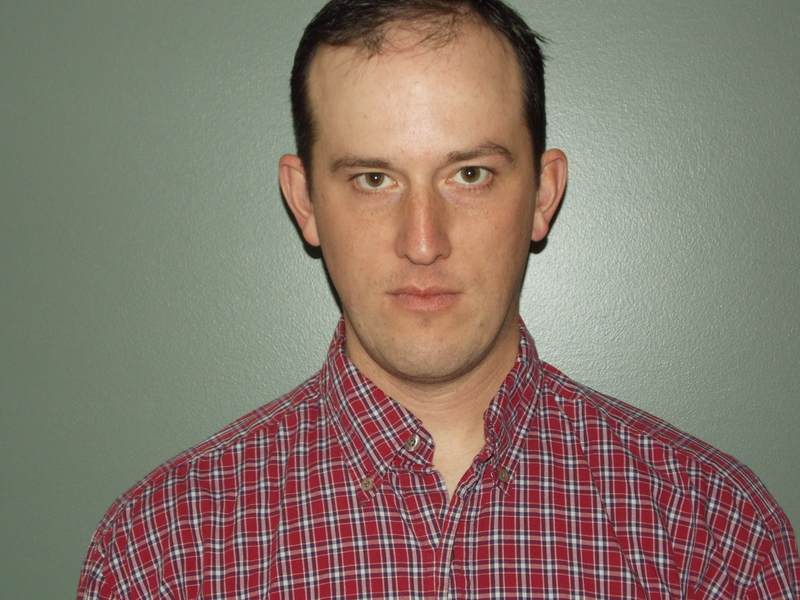 He enjoys camping and fishing with his family, hunting, kayaking, and metal detecting, as well as garage sailing and thrift store picking. Go to the Books tab to see book description, topics and details for all of the Almost Free Money books. All of the books can be ordered in Kindle or Paperback book format, or previewed for free from the Eric Michael Amazon Author page. 5.0 out of 5 stars Fifteen stars! “The thing about Eric Michael books (I’ve read several) is it’s just like you’re sitting next to him. It’s as if you decided you wanted to make money and your best fried is an expert on all these easy and great ways to do it. He explains it all so clearly and makes it seem so simple. And, it is simple because Eric Michael has made all the mistakes so you don’t have to. He’s figured out what works and, maybe most important, he knows how to teach it in a great conversational style. 1. Q: Several of the Almost Free Money series books have reached #1 in their categories. Why has this series been so successful? A: People are always going to be looking for ways to earn extra money or legitimate ways to make money from home. This is especially true in our current economy, when many people are unemployed. The Almost Free Money series has been popular because it offers everyday people the opportunity to earn excellent money from home with very little initial expense and no risk. The systems work anywhere in the world and anybody can start a profitable business, regardless of internet or computer experience. The great thing about the systems is that they are scale-able. You can make a little of money by “working” for a couple of hours a week, or you can go full-time and do very well. This makes the systems very attractive to entrepreneurs, retired persons, stay-at-home-parents, students and physically impaired people. Um… plus, TREASURE HUNTING IS FUN! 2. Q: Describe your writing style. A: I write books from the perspective of the reader. If you look at the book reviews for all of the books, you will notice quite a few that say that the reader enjoyed the book because it was straightforward, easy to understand, and the tone of the book is positive and encouraging. I want the reader of the books to feel like I sitting next to them and talking to them about how I have built my business from the ground up. I have read dozens of books on related topics for my research. Many of those books made me feel like the author was doing me a favor by giving me a taste of what he or she is an expert in. I don’t appreciate that. When I write books, I give the reader everything that I know and I tell them exactly what I have done, in a manner that allows them to take the information and apply it to their own circumstances. 3. 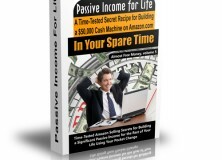 Q: It seems too easy to make money with these Almost Free Money books. If it’s so easy, why isn’t everybody doing it? A: It is that easy. You just have to have the background knowledge so that you know what to look for and how to sell it for maximum profit. The Almost Free Money books each examine one aspect of selling used items for profit and expound on the information, so that the reader can start a home business in that area of expertise. The best way to make money in this arena, in my opinion, is to diversify. Have a variety of avenues toward success. Don;t put all your eggs in one basket. Take selling used books, for example. Five years ago, this may have been the #1 source of high profit inventory for internet resellers. Now, there are nowhere near as many people that read physical books due to the explosion of digital books. If you only sell used books, you are missing the boat. Long story short, most flippers and eBay sellers fail because they are lazy. They haven’t put the time in to become knowledgeable in multiple areas of internet sellers. Many of them also sell only on eBay, which is probably my last choice of where to sell on the internet, due to saturation by sellers and eBay’s poor seller relation policies. 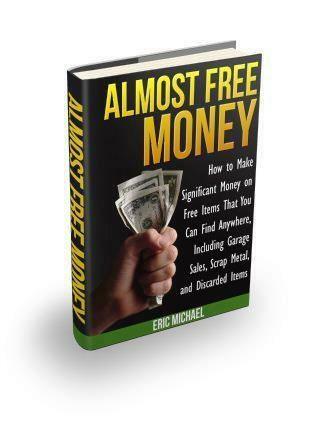 The Almost Free Money series exposes readers to a much wider variety of free and cheap sources of items to sell, shows them where to sell the items for the highest profit, and explains how to organize a business effectively and with very little effort. 4. Q: How did you get started selling used items for profit? A: My wife was pregnant with our first child and we wanted her to be able to stay at home with out children, instead of paying for child care. We started selling used items from yard sales on eBay. We quickly learned that there were many items that could be bought for under $1 and sold on eBay for good profits. Since that time, I have continually researched additional sources of income that can be found in various second-hand locations and added them to my repertoire. I also learned very quickly that eBay was not going to the primary source of my income, so I branched out to better online selling locations. The Almost Free Money series is the summation of 14 years of personal experiences buying and selling these items successfully over a long period of time. I have also provided all of my internet research to readers, so that they can also navigate to the sites that I use for my own research to further their knowledge base. 5. Q: What do you see as the future of selling used items for profit? A: That’s difficult to say, but Almost Free Money and Passive Income for Life, in particular, explain exactly how internet sellers can research trending sources of income and also how to network with other sellers to keep up with what is going on. It is vital that internet sellers keep up with current markets and know what types of items are becoming more popular and therefore more profitable. 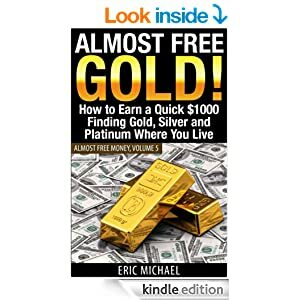 One area that I am looking into now is the precious metals arena, which is why I recently published Almost Free Gold. Although there has been a recent dip in gold prices, both gold and silver spot prices are bound to increase dramatically in the near future. Treasure hunting at yard sales and thrift stores is fun and it is also very profitable. You would be surprised how often you can find hidden gold and silver at these locations, sometimes even for free. 6. Q: What do you have in store for fans of the Almost Free Money series? A: Oh, man. I’m pumped for some of the upcoming books that we have planned. We are looking at expanding some of our most popular blog posts on Eric Michael Books.com. Several of the topics that readers have asked for are: selling used clothing for profit and tips for increasing profits on eBay and Etsy.com. 7. Q: What advice do you have for beginning pickers? A: Do you what you like to do. Start with what you are already familiar with and then branch out from there. Continue to research the most profitable sources of income online. Stay current by reading blogs and interacting on multiple forums in your genre. The EricMichaelBooks website has a lot of new information and if you subscribe to the blog, you get free information delivered to your email, as well as notification of Almost Free Money book releases, and even free advance reading selections.